NEW! 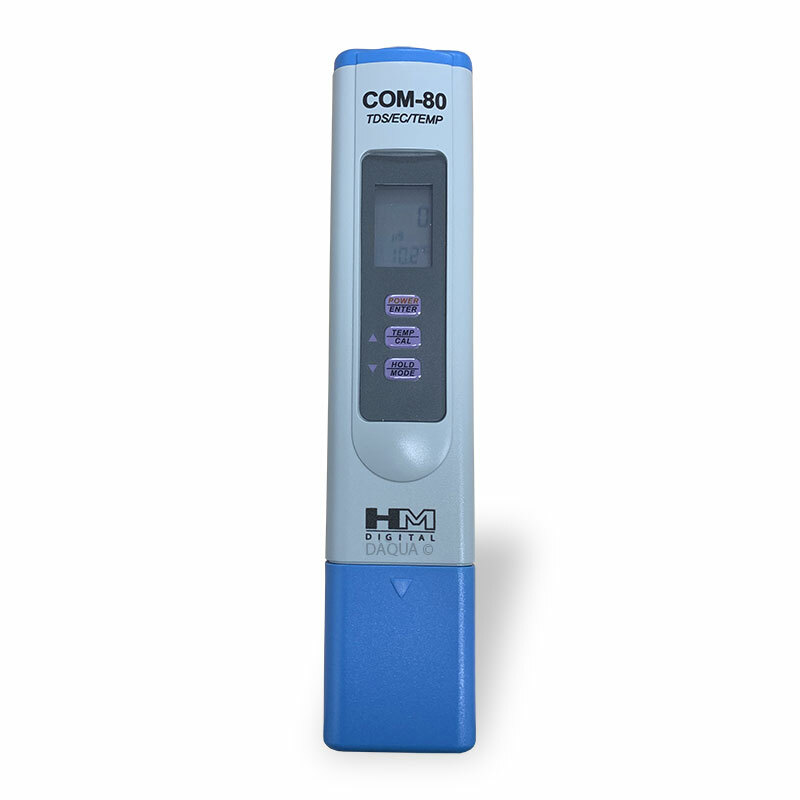 The COM-80 is an economically priced, reliable EC/TDS meter that is ideal for testing applications such as hydroponics & gardening, pools & spas, aquariums & reef tanks, water ionizers, drinking water and more. This TDS Meter is ideal for all water purification applications, wastewater regulation, aquaculture, hydroponics, and colloidal silver. A perfect TDS Meter for both consumer and commercial use. Nothing is more important than water. As a crucial part of our existence, we need to be certain that the water we consume and provide for our families is of high quality. Tap, well and even filtered water quality is prone to fluctuation and possible contamination. Testing regularly enables you to be sure of your water's purity. The Aquapro digital water tester is your first step to high quality water. With the push of a button, the AquaPro measures TDS, an indicator of general overall water quality. The lower the TDS level, the purer your water. HM Digital's AquaPro series of handheld TDS/EC meters come in a sleek design that's perfect for the modern kitchen. These digital water testers are the next generation for today's tech-savvy and health-conscious consumer. This small compatible TDS / TEMP Meter is MAGNETIC which allows you to attach it to your fridge or other convenient place. A must-have tool for all health conscious families. The AquaPro is calibrated with a 342 ppm NaCl solution. The meter can be recalibrated. with digital calibration using the push buttons, rather than a screwdriver. 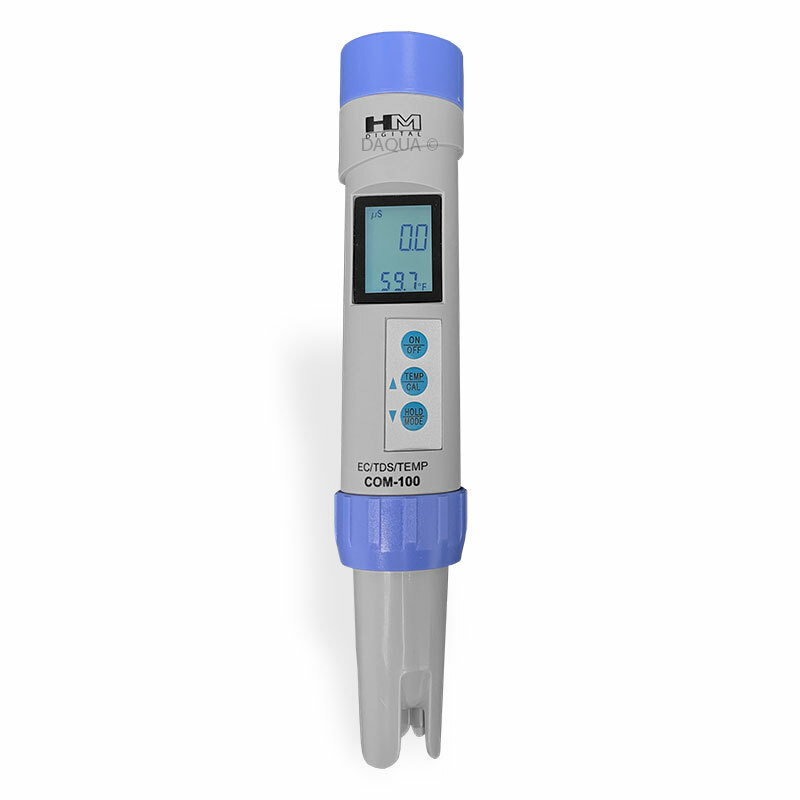 This TDS Meter is ideal for all water quality testing, water purification applications, wastewater regulation, aquaculture, hydroponics, colloidal silver, labs & scientific testing, pools & spas, ecology testing, boilers & cooling towers, water treatment and more. Three different calibration options (KCl, 442TM, NaCl), each with its own non-linear conversion factor.